Coffee and Manjaro Linux: Manjaro Xfce Desktop Refresh! I wanted to freshen up my desktop and after watching a great Manjaro GNULinux review by Spatry on his YouTube channel. 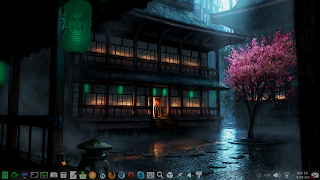 I installed some extra themes & a set of KDE tools & messed around. 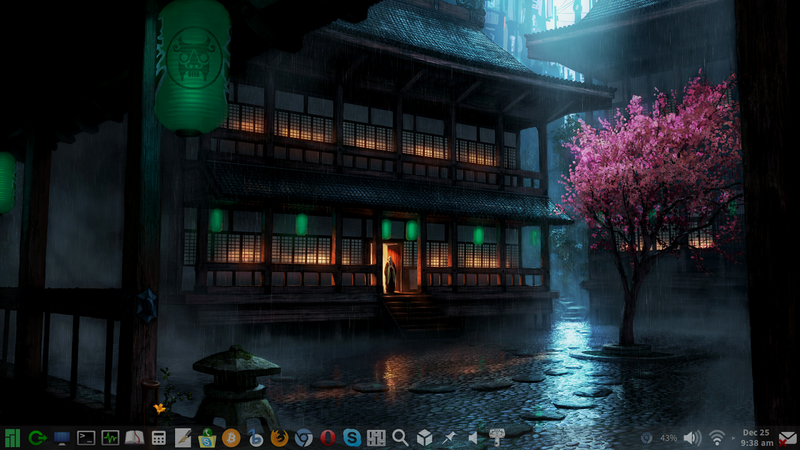 I really like the blend that you get with an Xfce base & some great functionality from the wonderful KDE team. Enjoy the holidays with your family & friends and here's to an epic & unforgettable 2014. Peace, Ruziel. How did you change your wifi and volume icons? I really like the style you chose. Do you happen to remember the name of the icon set? Hi again. Yes, I think it's "Awoken". I might be wrong but reckon that's the one. Thx, R.
Cool! I use Manjaro too is Awesome. Really enjoying reading your blog. I am a Linux newbie and currently on the Mint distro. However, I am really liking what I see with Manjaro. Your article are very interesting to read. Hoping for more! It really helps us making the switch from a Windows world. Hi Ruziel Your desktop looks so cool that I would also want to have a try. Do you still remember the names of themes and twists you have done? Hi there. I use AwOken Icons, Shiki-Nouveau Winedust style, quite a bit of transparency on the panel settings, Source Sans Pro font. I'm trying to find the other settings. Hope this helps a bit. Thanks, Ruziel.